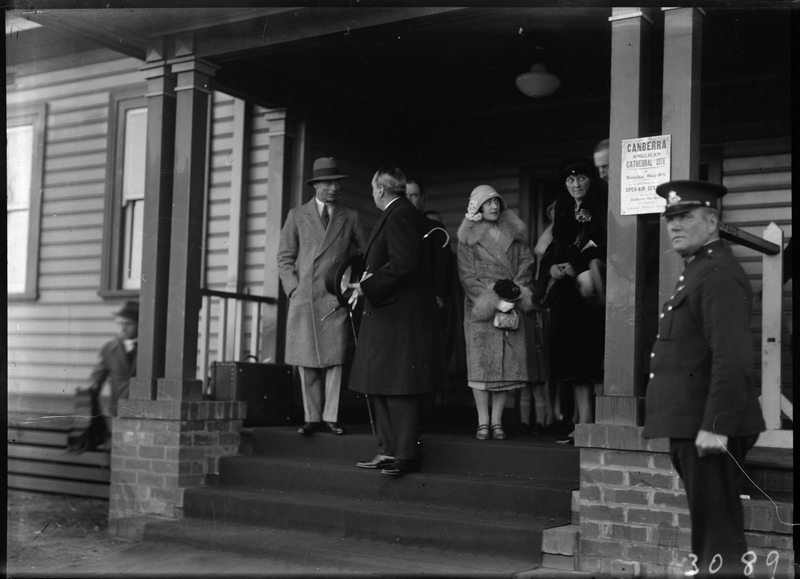 Royal Visit, May 1927. Duke and Duchess of York with Prime Minister Rt Hon S M Bruce at Canberra Railway Station Notice on the pillar reads "Canberra Anglican Cathederal Site. Sunday May 8th Open Air Service".